Working with Berkeley Consulting, Carbontech Labs has advised the production of landscape of startups and commercial projects working to reuse and recycle waste carbon. The maps below offer an interactive opportunity to explore the relationships between geography, feedstock, process, and product. Below the maps is a comprehensive catalog of the startups that compose the maps, as well as those that were international and not included in the maps. In order to generate this mutually-exclusive, collectively-exhaustive map of startups, we approached the landscape from three perspectives. We used the lens of products, processes, and carbon feedstocks to guide our exploration of what exists in the space, as of now. Understanding what categories of products can be produced by carbon utilization entities, what processes are commonly used in which industries and to produce which products, and what carbon feedstocks were used with which technologies allowed us to effectively approach the entire space from multiple angles to ensure that our coverage is as complete as possible. For each startup we found, we looked for information on the above three categories, as well as funding, revenue, traction (both in media and in terms of more traditional, business-facing traction), and any other relevant, available information. The maps below contain all of the information that was uniformly available for all of our found startups. Our research was primarily focused on domestic and North American commercial entities, as the overall goal was to document the current commercial landscape for carbon utilization startups in the U.S. Our investigation revealed some international commercial entities as well, so in order to offer more comprehensive insights, these are included as well. Finally, we also included several agriculture technology companies, both domestic and global, which act as complements to the carbon utilization commercial entities because they support and contribute to carbon capture. Founded in 2003, Accelergy converts carbon-rich resources like biomass and natural gas into liquid synthetic fuels. Accelergy captures carbon through multiple sources: photosynthetically sequestering atmospheric CO2 through algae bioreactors, conversion of coal to cleaner liquid fuels, and processing natural gas into liquid fuels. 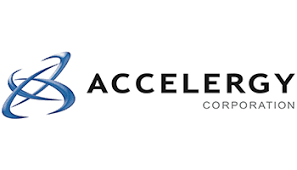 Based out of Palo Alto, California, Accelergy has $50 million in funding from venture capital. Accelergy produces liquid synthetic fuels and industrial chemicals in conjunction with Owensboro Grain, taking in agricultural residue as feedstock. Accelergy is also diversifying into oleochemicals for commercial launch in North America. Accelergy has appeared in multiple publications over the years, including Business Wire and Forbes in 2009. 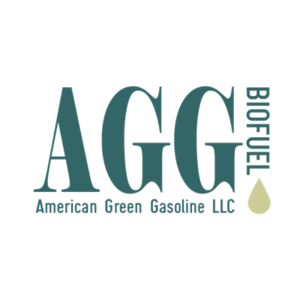 AGG Biofuel uses the conversion of CO2 into syngas to use in the processing of transportation fuels, power generation, process heat, and other high value products. It creates optimal products for both clean energy and commercial installations. Founded in 2013, there are ten people on the board of directors. AGG is funded by a joint venture group and is also a semifinalist in the Carbon XPRIZE competitions. Beyond announcements on their participation in Carbon XPrize, they have a self run blog which details their progress. Air Science is a startup that offers three distinct processes for removing CO2 from biogas. Air Science intakes biogas from landfills and upgrades the gas into a higher quality product that can be used as fuel by removing CO2. It produces a quality gas for power, clean natural gas, and liquid natural gas applications. Founded in 1993, Air Science has raised $1.3 million in funding from government grants. With a presence in Canada and the US, Air Science has extensive documentation of different partnerships with municipal landfills and energy companies. Examples include a recent deal with DMT Clear Gas Solutions to purify gas at key plants. Algix is a company headquartered in Meridian, Michigan that converts algae into renewable resins that substitute for traditional plastics and algae-based food for people and animals. Algix was founded in 2010 and has not listed funding or revenue numbers. The company is opening its SOLAPLAST facility in Marion, Mississippi and investing up to $40 million over the next three years to produce bioplastics. 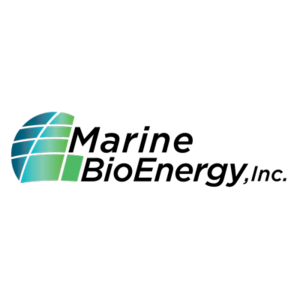 All Power Labs is a startup based in Berkeley, Califoria that makes biomass gasifier generators for everyday work, otherwise called small scale gasification. It is the leader in this field of small-scale gasification. Founded in 2008, it has a team of 30. It has received $2 million in investor funds and grants. They sell about 500 products annually and have most recently reported a revenue of $5 million. Media coverage for All Power Labs is positive, often praised for its radical concepts of transforming waste. The startup also has its own profile of its appearances in the news. 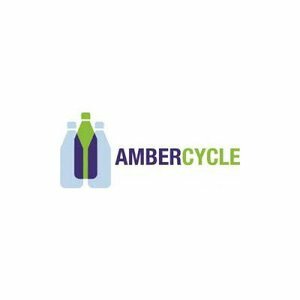 Ambercycle was founded 2012 and is developing chemical technology to produce conventional polymers, such as polyesters, from a variety of fibrous waste streams. Feedstocks like PET bottles, carpets, and polyester textiles are used to produce useful, carbon-sequestering plastics. Ambercycle has received $500,000 in grant funding from the National Science Foundation. Their revenue is currently unlisted. Atmocean was founded in 2006 and aims to generate clean water and sequester carbon through their ocean pump technology. Pumps are used to treat water through their Zero electricity Reverse Osmosis desalination system and pump carbon-rich surface water into deeper water where it will be sequestered. Atmocean has raised around $2.5 million so far and attempting to raise another $750,000 to get their first commercial system in the ocean. Their revenue is unlisted. Avatar Sustainable Technologies has patented a process to produce fermentable cellulosic sugars from refuse of local industries. They can create several biofuels and bioplastics from papermill waste. They were part of the NEXUS-NY Cohort and are currently in the process of forming partnerships and commercializing. Avatar Sustainable Technologies has received around $200,000 in government grants. Their revenue is currently unlisted. Beta Hatch is a young start up founded in 2015 that is growing mealworms for animal feed and is also researching the possibility of using insect exoskeletons for bioplastics. They have recently engaged in a research study with Stanford University to investigate the possibility of feeding mealworms an all plastic diet that would make the company carbon negative. The company has raised $1.6 million in seed funding led by Cavallo Ventures, the venture capital arm of Wilbur-Ellis. They are currently based in SeaTac, Washington and produce about a ton of animal feed per month. Local customers are already buying the feed and fertilizer that is being produced. Beta Hatch’s work has appeared in Forbes and The Seattle Times. Bio-Adhesive Alliance is a startup founded in 2013 in Greensboro, North Carolina that is processing wastes, specifically swine manure, to manufacture construction materials and fuels. They create eco-friendly, durable, low-cost bio-adhesive from swine manure to help facilitate swine manure management while creating added value products for the construction industry. Bio-Adhesive Alliance has received $1 million in funding from government grants. Their revenue is currently unlisted. Biochar Solutions is involved in deploying a network of distributed carbon sequestration and soil restoration capacity by selling processed biochar products which often come from restored versions of carbon feedstock. 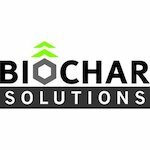 Founded in 2011, Biochar Solutions has no current listed revenue or funding. There is very little media attention surrounding Biochar Solutions, but the startup is listed on Bloomberg. California Safe Soil uses food waste to create fertilizer for healthier soils. Founded in 2011, their process for converting food waste into a microbial fertilizer is an aerobic enzymatic digestion technology. California Safe Soil has received $14 million in funding for their project and reported a $3 million annual revenue. California Safe Soil appears in the media in news that mostly details its capital expansion and success with investors. Carbon Upcycling UCLA captures CO2 from power plant smokestacks and then trap this CO2 to be used in building material. Their process for doing this is patented and referred to as CO2NCRETE. Founded in 2015, they have raised in $1.5 million in private funding in the form of donations. Carbon Upcycling UCLA was a finalist in the XPrize competition and received some media attention for this. In addition, their technology is discussed in blogs and other forms of social media, all of which is detailed on their website. 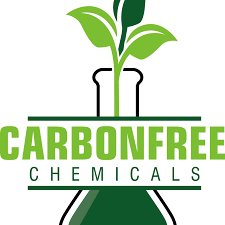 Carbonfree Chemicals aims to use carbon sequestration to produce relatively common chemicals, including baking soda (sodium bicarbonate), hydrochloric acid, caustic soda, and bleach. They aim to produce products for the manufacturing of PVC pipes and glass, cattle feed, steel pickling, and in the oil and gas industry, generally. These are their target economies, but they maintain a high-level emphasis and motivation on the carbon negation aspect of their technology, focusing on changing the image of power plants from inherently detrimental to the environment to eventually carbon-neutral. Their most recent round of funding, which places them in the stage of generating revenue, provided them $59.3 million. They currently own a plant in San Antonio, Texas which produces hydrochloric acid at a predicted rate of 183,000 tons per year from the waste output of a nearby cement plant. Catalytic Innovations is developing electrochemical solutions to reduce energy consumption in refining processes and for gas-to-liquid transformations. Their product encompasses forms of clean alcohol chemicals. Founded in 2015, Catalytic Innovations is a small team of 5. The startup is a Carbon XPRIZE semifinalist, but has not reported any funding or revenue. There is evidence of traction as their investor presentations are available to the public. Dioxide Materials is using green technology that takes CO2, water, and renewable energy to make sustainable fuels and chemicals. Their technology consists of CO2 electrolysis, water electrolyzers, alkaline anion exchange membranes, and electrochemical CO2 sensors. They have filed for multiple patents and are currently generating revenue from selling products, though the revenue is unlisted. Dioxide Materials has received $4 million from the U.S. Department of Energy’s Advanced Research Projects Agency – Energy (ARPA-E). Ecovia Renewables is a startup spun out of the University of Michigan that is developing a new fermentation platform for bio-based fuels and chemicals through the engineering of synthetic microbial communities. They aim to convert biomass raw material into biofuels and bulk chemicals that will be more carbon friendly than traditional alternatives. 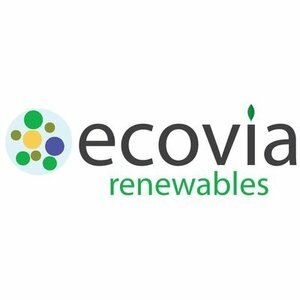 Ecovia Renewables has received around $1.3 million in grants from the U.S. Departments of Agriculture and Energy as well as the National Science Foundation. Their revenue is currently unlisted. Emergy Labs is an early-stage startup that is working to create porous activated carbon, named MycoCarbon, which can be used in water and air filtration, chemical and pharmaceutical manufacturing, and energy storage and generation. Its process involves the use of fungal biorefineries to avoid the energy- and carbon-intensity of the traditional methodologies of producing these materials. Emergy Labs has invested over $1.2 million of non-diluted capital into this development, and has about a year of financial runway ahead of them. They operate under an exclusive license from the University of Colorado Boulder, and their technology has been demonstrated at laboratory scale: it is now under pilot development at Argonne National Labs. Emergy has also won $10,000 as the grand prize of the 2016-2017 International Business Plan Competition, and has appeared in media sources such as Forbes. Founded in 2011, Farm Power Northwest uses manure from dairy farms to create electricity, while simultaneously processing the manure. In doing so, they are able to process manure at no cost to farmers while creating a valuable side product, electricity. Farm Power Northwest received a $500,000 grant from the US Department of Agriculture for their work. Their most recent reported revenue is $2.5 million. Additionally, they show excellent market traction, with several operational plants in Washington and Oregon. The long term trajectory of this startup is promising; investors have reportedly expressed interest in 30-year investments for returns on this startup. Media attention surrounding this start-up is positive. Farm Power Northwest is often characterized as a company which invests millions in the dairy towns that it expands into. Fulcrum is a startup based in Reno, Nevada that converts raw household waste into liquid synthetic fuels through a process that separates, sorts, and gasifies the waste. Fulcrum Bioenergy has a pilot plant in Reno that is semi-operational with a capacity of converting 1,500 tons of waste per day. Drawing from a variety of funding sources, Fulcrum has raised $200 million in funding since its founding in 2014. In addition, Fulcrum Bioenergy has had exposure in mainstream publications such as Smithsonian Magazine and Fortune Magazine. Full Circle Biochar develops biochar products that are tailored to the needs of large-scale agricultural markets by utilizing a biochemical process. 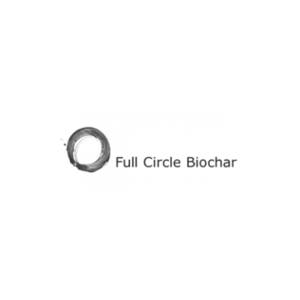 Full Circle Biochar was founded in 2012 and has a management team of five. They receive a listed funding amount of $27.5K, and report an annual revenue of $50,000. There is currently very little media attention around this company. Gigacrete uses waste materials like bottom ash, fly ash, sludge, and dredged materials to make concrete. Their primary product, Gigacrete, has no portland cement but a "proprietary non-toxic binder" made from a different cementitious binder consisting of commonly found nontoxic elements available from many locations throughout the world. The eco-friendly fillers can make up 80% of the concrete, while releasing less CO2 than traditional Portland cement. Gigacrete has raised about $5 million in a venture round of funding. Their revenue is currently unlisted.The company has been featured on Business Insider, specifically for its non-flammable properties. Based in Hawaii, Global Algae Innovations is developing a variety of technologies for more efficient production of algae for use in human and animal foods and high-value nutritional supplements such as omega-3 oils. The company is creating new ways of cultivating algae on a large-scale, including use of a concentrated CO2 supply, raceway design, and harvest efficiency. The company was founded in 2012 and has raised $11M from primarily government grants. Ingenuity Lab is a startup aiming to convert emissions from natural gas plants into industrial chemicals for commercial use. Using cascading bioreactors to simulate photosynthesis, Ingenuity Lab has yet to release details on revenue or a specific catalog of products. 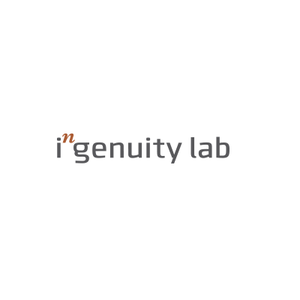 Ingenuity Lab was founded in 2014 and is based in Alberta, Canada. The startup does not currently disclose revenue or funding and appears to be in the pre-commercial development phase. 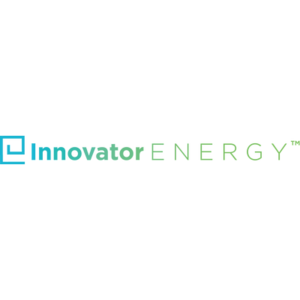 Innovator Energy is a startup competing in the Carbon XPRIZE competition that separates CO2 from flue gas streams in power plants for conversion into environmentally-friendly chemicals. Its CO2 capture technology is unique in that it utilizes waste heat from thermal processes, saving costs and improving energy efficiency. Since its recent founding in 2015, the startup has not disclosed any information on funding or revenue. Ironic Chemicals is a small biochemical technology startup founded in 2014 that is aiming to transform by-products from the mining, oil, and gas industries into usable products like plastics. They have engineered a bacterium that consumes sulfur containing materials as well as carbon dioxide to produce complex chemicals while sequestering carbon. Ironic Chemicals has raised around $700,000 from the Department of Energy and National Science Foundation to continue their work on developing their biochemical process that aims to reduce waste and lower costs. Their revenue is currently unlisted. IronKast is focused on sequestering CO2 and other gases into a new type of concrete that has the potential to be stronger and more durable than traditional concretes. Their novel patented concrete technology based on iron carbonate uses a majority of recycled materials to create “Ferrock,” a new concrete capable of being produced in a salt-water environment. IronKast has received around $100,000 to continue research and begin pilot testing. Their revenue is currently unlisted. 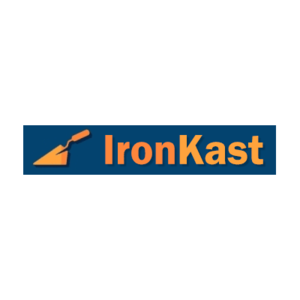 IronKast is actively seeking venture equity investment and is in talks with potential partners. Kiverdi produces materials from microbes which transform CO2 and other gases. This company was founded in 2013 and consists of a team of five. They received a grant valued at $2 million from the US Department of Energy. Beyond this, they have no listed revenue currently. Kiverdi has been announced to be collaborating with CO2 Solutions. They have also gained some media attention in the form of interviews with the team members. Liquid Light converts carbon dioxide into chemicals, specifically commercially viable chemicals. It is able to create a large variety of products with the same technology, one of its unique selling points. Liquid Light was founded in 2011 and now has a management team of 11. This startup has a reported revenue of $2 million and $32.4 million in funding. It announced a partnership with DeNora and was voted a Top 40 company. Overall, Liquid Light receives a lot of positive media attention for its value proposition to reduce oil dependency and success as a clean tech company. Mango Materials aims to convert waste streams into cost-competitive bioplastics. Using waste gas from wastewater treatment or landfills, Mango Materials utilizes the methane in the waste to produce biodegradable plastic through a microbial process which converts methane into PHA biopolymer. Since its founding in 2010, Mango Materials has acquired $1 million in funding from government grants. The startup seems to be currently in a pre-commercial phase, with no construction plans publicly announced, and no revenue listed. The startup has also attracted significant media attention from TechCrunch and industry publications on bioplastics. This company is a kelp farming operation that in turn uses kelp to create biofuels. Their project involves two steps. First, they seek to implement a large-scale kelp farming plan which uses cyclic depth farming technology. Second, they aim to use this kelp in a quick reaction process to create fuel that is commercially viable. Their process is a hydrothermal liquefaction and catalytic hydrothermal gasification two-step process. They were founded in 2011 and are still relatively small – focussing heavily on research. They have received a grant from the US Department of Energy for their research. Their reported annual revenue is $79,000. Marine BioEnergy has not had much media traction, except for their project website which carefully details their work. They have been discussed in scientific forums for their ground-breaking work. Based in San Luis Obispo, MicroBio Engineering produces microalgae for use in biofuels, wastewater reclamation, and other high-value products. 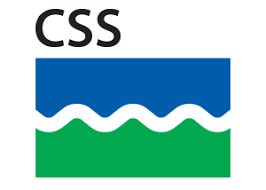 The company provides scientific consulting, design, and installation services for clients seeking to clean water sources. MicroBio also designs plants for businesses interested in producing nutraceuticals, biofuels, and animal feeds. The company was founded in 2007 and has raised 2.1 million in funding from primarily government sources. Mosaic Materials seeks to reduce the cost and emissions impact associated with chemical separations. It claims up to an 80% reduction in energy use for processes in distillations by using new sorbents. This company has received its funding in part from the government as a customer. Mosaic Materials is also a participant in Cyclotron Road and has been discussed on Berkeley Listing. Nonfood was founded in 2016 and is based in Los Angeles. They create radically sustainable algae-based foods that can reduce agriculture’s resource and carbon footprint. The conversion process that they use is photochemical, using sunlight, water and carbon dioxide into vitamins and nutrients through algae. They were a finalist in FOOD-X from which they received some funding. They currently report a revenue of $135,000, but have not listed output volume. Their current system is composed of an online ordering system, and their brand competes with other healthy food brands. Media coverage describes their novel concept in a positive light. Novacem raised around $5 million as a startup, but has had its technology acquired after declaring insolvency. Novacem has been twice listed in the Global Cleantech 100 and has previously received praise as being one of Britain’s most promising green-tech companies. Novomer develops and produces cost competitive chemicals and polymers from plant feedstocks. They produce a variety of chemicals, all of which are cost competitive. Founded in 2011, Novomer is a small startup with a team of around 30 people. Novomer has raised $33 million in investor funds and reports an annual revenue of $43 million. The media traction around the startup is promising; most recently, it was reported that they opened a new centre in New York. They are also detailed on Bloomberg’s listing of companies. There is some positive media attention surrounding Novomer, most of which is detailed on their own website which explains the startup’s latest developments as strategic and expanding quickly. Novonutrients converts carbon dioxide into food for fish and other animals, claiming the product is a superfood because it contains a wide range of important nutrients. Their process is a fermentation reaction conducted with microbes. Founded in 2016, Novonutrients is still a relatively small company and has no reported funding or revenue statements. There is favorable media attention suggesting that Novonutrients is scaling up in operations. Furthermore, some scientific blogs have noted the technology that Novonutrients created to be ‘innovative’. Oakbio converts streams of waste carbon, such as flue gas, into high value waste products like feed products, bioplastics and chemicals through a microbial process. They currently offer two products - bioplastics and animal and aquafeed. Oakbio was founded in 2015 and has a leading team of 5. Oakbio currently has no listed funding or revenue. Oakbio has seen positive media traction. It was announced that they discovered a new technology and they were further reported on in Biofuels Digest. Oberon Fuels is dedicated to developing technology to help address the growing problems of emissions and particulate matter generated by diesel engine vehicles in cities around the world, while also providing a more sustainable option for waste management. The company’s technology can utilize locally available organic wastes to produce low-carbon, zero-soot DME fuel, an alternative to diesel that has countless applications in the trucking and heavy equipment industry. Oberon Fuels has raised around $200,000 in its seed round in 2010. Their revenue is currently unlisted. Oberon Fuels was featured on Globe Newswire and is the first company to announce plans to commercialize biogas-based dimethyl ether. Opus 12 is a small-scale startup using direct air capture to convert atmospheric CO2 into specialty chemical products. Although the technical details of its processes are not publicly disclosed, the startup aims to use an electrochemical process that combines CO2 and water to form useful industrial chemicals for commercial use. Opus 12 attracted $350,000 in funding in its seed stage round in 2016. Opus 12 is highly visible in mainstream media, appearing in CNBC, Forbes, and Rolling Stone magazine. The startup has not yet shown any signs of progress in producing a commercially viable product. Promus Energy converts agricultural waste into renewable natural gas at half the price of diesel, as well as being more environmentally conscious by being carbon neutral. In order to achieve this, Promus Energy has developed a process which utilizes anaerobic respiration. The startup does not list their funding, but reports an annual revenue of $400,000. In addition, it reports producing a volume of 8,300 diesel gallon equivalents. Market traction appears successful for Promus Energy; it was announced that they signed a lucrative contract with Greenlane Biomass. Furthermore, there is some media attention in the scientific community about the technology behind Promus Energy. Saratoga Energy was founded in 2016 in Berkeley, California and is developing a process to synthesize graphite from CO2. By electrochemically separating CO2 into oxygen and graphitic carbon, they can produce essential materials for lithium-ion batteries. Saratoga Energy has received $1.5 million in grant funding from the Department of Energy. Their revenue is currently unlisted. Saratoga Energy’s battery technology has been featured in Charged EVS, Electric Vehicles Magazine, for its quick recharge times. SkyNano Technologies focuses on the electrochemical conversion of CO2 into all carbon-based nanomaterials for a variety of future uses. Founded in 2015, this small startup has two people on its management team. They have earned $5,000 in a pitch competition and further grants from the Department of Energy. SkyNano Technologies has been listed as an idea to watch and received media attention for winning a startup pitch competition mentioned above. Skytree is a startup seeking to convert atmospheric CO2 into concentrated gas for greenhouse applications and biosynthetic fuels. As a spinoff of the European Space Agency (ESA), its air capture technology was originally developed to extract CO2 exhaled by astronauts on board spacecraft. This technology will be implemented next year at the International Space Station (ISS). Since its founding in 2008, the startup has raised over $500,000 in seed funding. Skytree is currently generating revenue from licensing to industry partners. They are supported by the fund InvestinFuture. Solid Cell is developing advanced thermoelectric, fuel cell, catalytic, and combustion technologies. This technology can be applied to generate carbon neutral electricity from the regasification of liquefied natural gas, ethane, nitrogen, and oxygen. The startup was part of the NEXUS-NY clean energy seed accelerator. 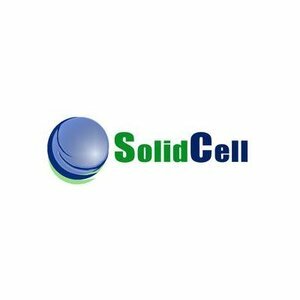 Solid Cell has received about $500,000 in government grants from the Department of Energy and National Science Foundation. Their revenue is currently unlisted. Spero Energy is a pioneer technology provider founded in 2009 that manufactures high value renewable chemicals from biomass. The company uses a one-step selective lignin conversion technology that has the highest potential in biofuel production, but can also be applied to cosmetics, pharmaceuticals, and thermoplastics. Spero Energy has received $1.2 million in government grant funding. Their revenue is currently unlisted. SunDrop Fuels converts sustainable forest residues with natural gas into biofuels, or ‘green gasoline’. Their rapid conversion technology, which integrates gasification, gas purification, and methanol synthesis, creates inexpensive car fuel. SunDrop Fuels is currently funded by the Oak Investment group and has a listed revenue of $20 million. They recently announced plans to break ground and have selected a contractor to do so. Tandem is a startup capturing CO2 and converting the gas into commercially useful chemicals like calcium carbonate. Tandem is competing in Carbon XPRIZE and has raised $44 million in funding, recently closing its Series B round. 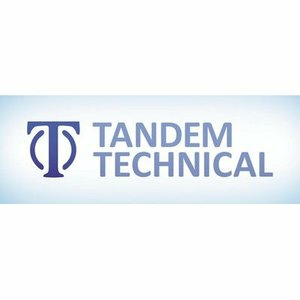 Based in Ottawa, Canada, Tandem Technical has partnered with EnviroTech, an accelerator that incubates cleantech startups. Since its founding in 2012, Tandem has not appeared in popular media coverage thus far. Treamin Energy was founded in 2014 and is looking to use existing technology to utilize municipal solid waste as fuel in coal power plants. They are experimenting with the torrefaction of minerally treated municipal solid waste to produce a more carbon friendly biocoal. Treamin Energy has raised around $225,000 in government grant funding. Their revenue is currently unlisted. Trestle Energy’s approved fuel pathways provide reliable, scalable, and cost-effective methods for producing biofuel and petroleum with low lifecycle greenhouse gas emissions. The company is actively engaged with regulators, policy makers, and energy producers to advance a clean, cost-effective, and more sustainable energy future. Triton Algae Innovations is a company based in San Diego that grows algae for conversion into proteins used in food and pharmaceuticals. The company was founded in 2012 and has raised 10 million dollars since then. Triton uses a mix of wild and genetically-engineered algae to produce specific proteins that are then used in products ranging from milk protein to mineral supplements. As of January 2018, the company is readying for commercialization by preparing to launch its supplements in 2018. Waste2Watergy is a startup spun out of Oregon State University that uses a novel biochemical process to efficiently treat wastewater and simultaneously generate renewable electricity. They have developed microbial fuel cells (MFCs) that contain electrochemically-active microbes that oxidize organic matter into CO2, electrons, and protons. Waste2Watergy has received around $1 million in funding from the National Science Foundation as part of its Small Business Innovation Research program. Their revenue is currently unlisted. Waste2Watergy has run pilot studies at a local brewery and has also been featured in the Portland Business Journal. White Dog Labs uses biotechnological processes to create biofuel and animal feed. They cultivate a microbiome-derivative called Clostridia, which can be fed with sugar and gases in order to create a variety of end-products, and have developed a supplementary fermentation process which allows for lessened emissions from the process as well as increased efficiency by between 50%-100%. White Dog Labs was selected for up to $15M of funding from the U.S. Department of Energy, and has created a key strategic partnership with Air Liquide, a world leader in gases, technologies, and services for industry and health. They were also covered in Delaware Online, featuring an interview with the CEO. WISErg turns food waste into an organic fertilizer in a process that conserves a large amount of nutrients. They specifically create liquid fertilizers from the feedstock. Since its founding in 2009, the startup has grown in size and received $182 million in funding from private investor rounds and venture rounds. Most recently, they were able to raise nearly $20 million to build a plant in California. Their reported annual revenue is $622,000. Media attention around WISErg is very positive, often labelling the organization as the solution to food waste.